Update: It turns out Crosswords Plus is not just a downloadable title. This article has been fixed. Sorry for any confusion. 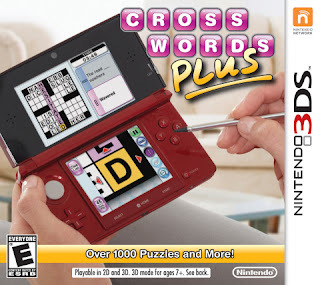 The original Crosswords on the Nintendo DS was a genuinely entertaining game featuring crosswords, word searches, and anagram puzzles. This sequel contains even more puzzles via StreetPass and SpotPass. The original game was a $20 retail title, so hopefully so will this 3DS sequel.